He wanted me to say it was okay. But I wouldn’t. I could have insisted. But I didn’t. It was just less than two weeks till Thanksgiving. I was driving the boys to school, and I broached the topic. Since BR was six years old, we have had the tradition to go to Manhattan on Thanksgiving to see the Macy’s Thanksgiving Day Parade. SJ had been an attendee of the parade since he was seven. In 2016, when he turned twelve, BR decided he was not interested in going to the parade. At the time, I was surprised. Disappointed. Hurt. But a year had passed. And while I asked the question of ‘do you want to go to the parade?’, I was sure I knew the answer. I just hoped that SJ would also not answer in the negative. However, both boys said yes. And quickly. I was excited. 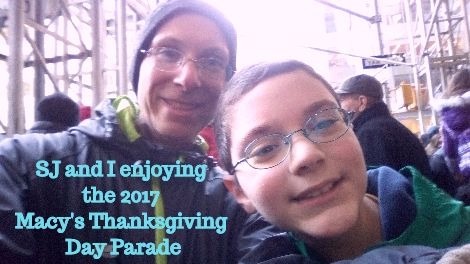 As Thanksgiving drew closer and plans for the holiday came up, I made sure to mention I would be going to the parade with both of my boys. I was excited to share the news. BR returning to go the parade felt like a reprieve. Yeah, he’s growing up and needs his own space, but on Thanksgiving, he wanted to go to the parade with his dad. The night before the parade I called the boys down to game plan for the next day: when we would leave, what food we would eat, etc. When Mrs. MMK came down and learned about the change in plans, she was disappointed. She was looking forward to some alone time as she prepared for the holiday. She encouraged BR to go and wanted me to join in, but I didn’t. BR wanted me to say that I was fine with his situation, but I wouldn’t. I enjoy parades. The excitement of the crowd puts me in a festive mood. But that’s not why I’ve been taking my children to the Macy’s Thanksgiving Day Parade all these years. When I was younger my father took me to parades. I remember going to the Mummers Parade (New Year’s Day parade in Philadelphia). 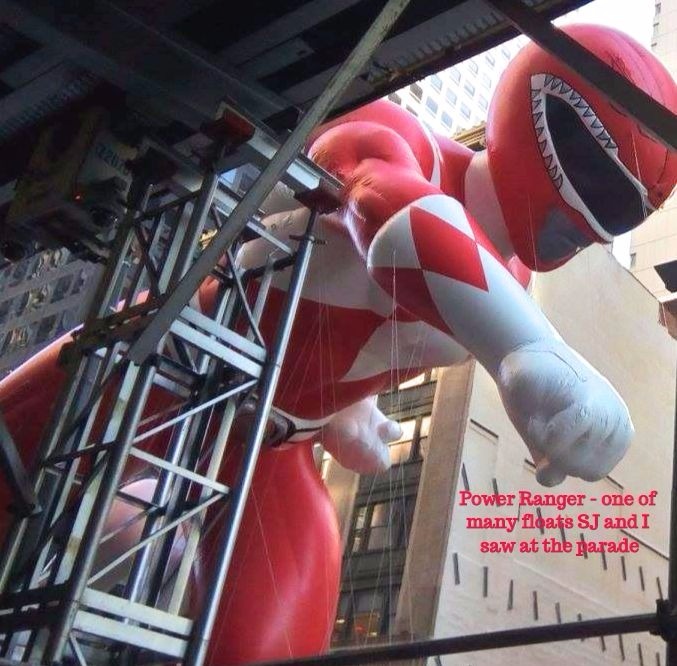 My brother says we went to the Thanksgiving Day Parade. Maybe, we went to both. I don’t know. I also have no idea how many times we went. It’s not about how many times we went or even what parade. I know I went, and I had fun. I know I went with my father and other family members. So, while my memories of the exact moments are hazy, I remember the feelings clearly. It was fun being with my family at the parade and feeling like part of the parade. Yeah, I’m into traditions, and I’m obsessed with trying to make memories with my children. However, by forcing BR to go to the parade, it would dampen his past memories of the times we had there. I would be making him go for myself and not for him. So, BR has moved on. He’s thirteen and ready for a change. I get it. Hopefully, next year, we can find a new tradition and create memories that he’ll fondly recall when he gets older. I agree with the conclusions you came to on this one. Best he’s left with the fond memory of the parade. Cheers to future memories and traditions! I love parades, but I guess if you’re 13 they’re rather boring. Well done for not making him go!